I’m gonna cheat a little and add a tiny haul here as well. I was looking for more shades to try with my trusty OMG Matte Potion, but I noticed that the shades in my current polish collection don’t particularly go well as a matte shade. I decided to go back and get more OMG seeing as Mojito looks quite great as matte. I found these two shades, each costing only Php17.75. The blue one is Atlantis. It is a bright blue, sort of a dark baby blue. The one I’m featuring today is the yellow one, Banana Boat. It’s a bright pastel yellow that’s perfect for summer. 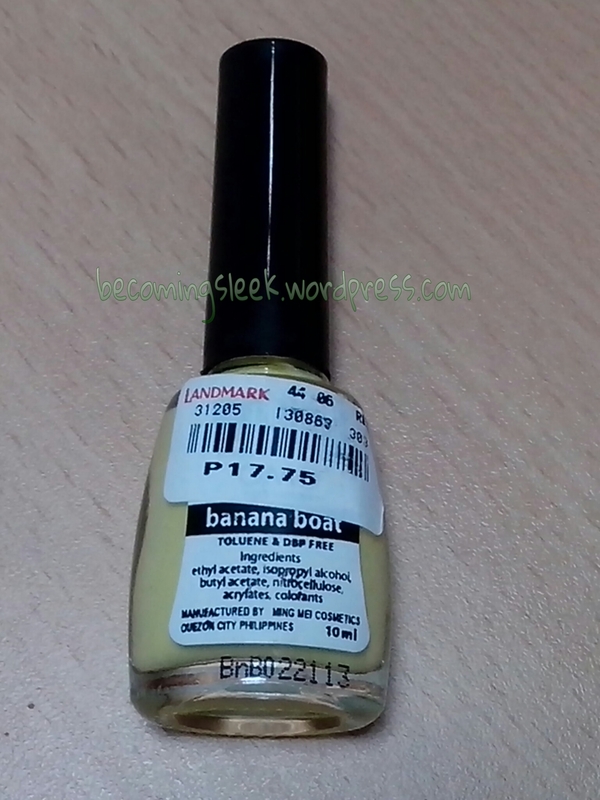 Here is Banana Boat alone (no top coat yet). 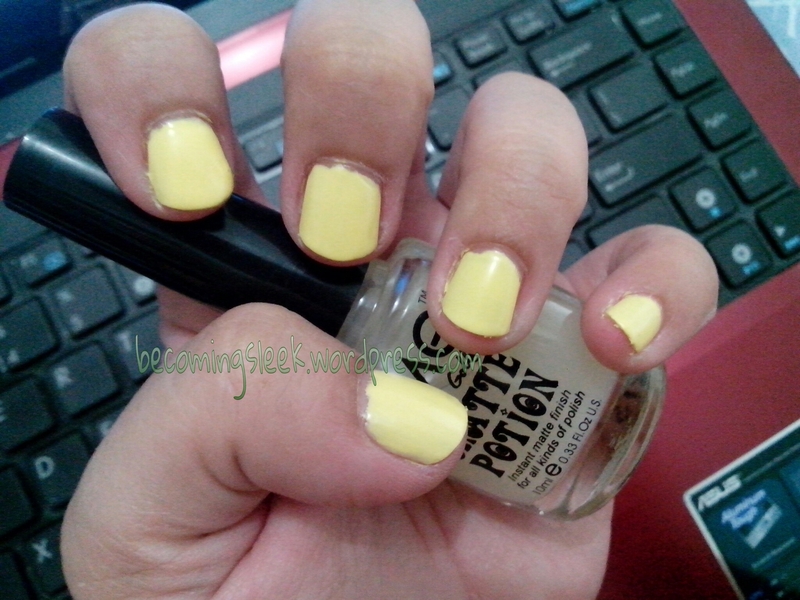 And here is Banana Boat topped with the Matte Potion. I love how smooth the surface looks, and the brightness of the yellow is undiminished even as a matte color. Do you like it? 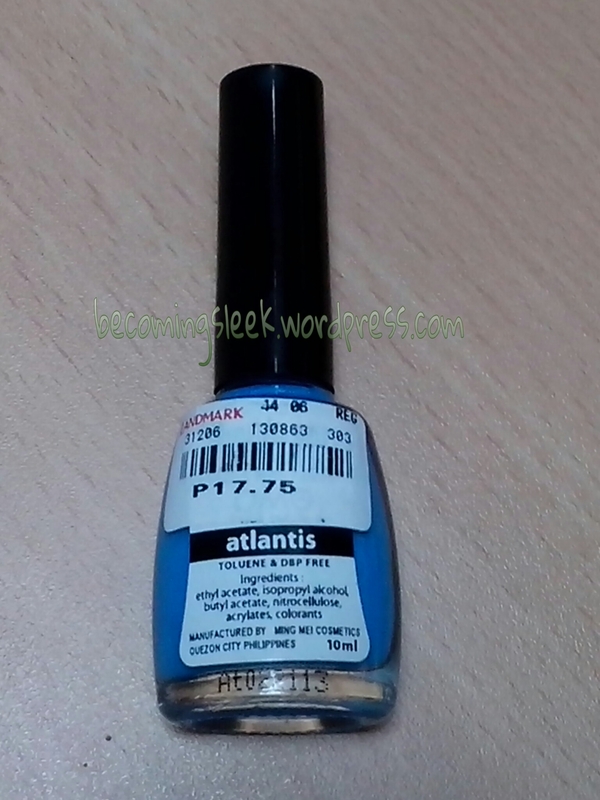 You can find OMG polishes at Landmark Trinoma (where I bought mine). That is also where I found the Matte Potion, but they have always been out of stock recently.